The Dynamic Footwork Box is composed of 36 Xtraice Home Pro panels, comprising an area of 19 feet by 19 feet. 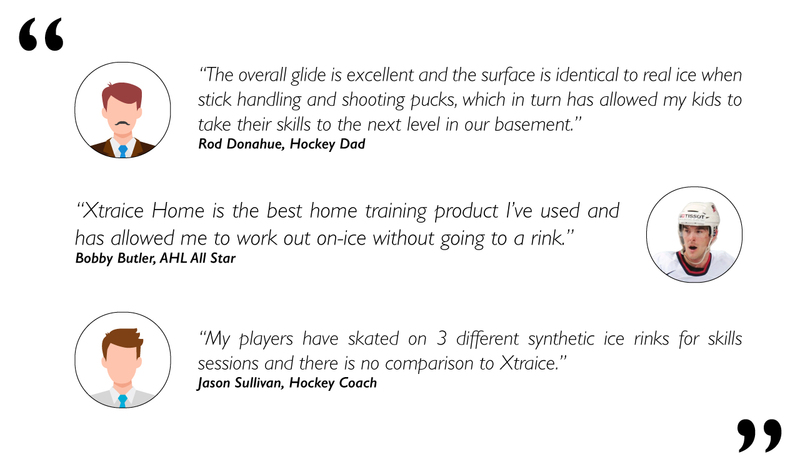 The surface size allows hockey players to do a full range of training exercises, from shooting and stickhandling to skating drills. 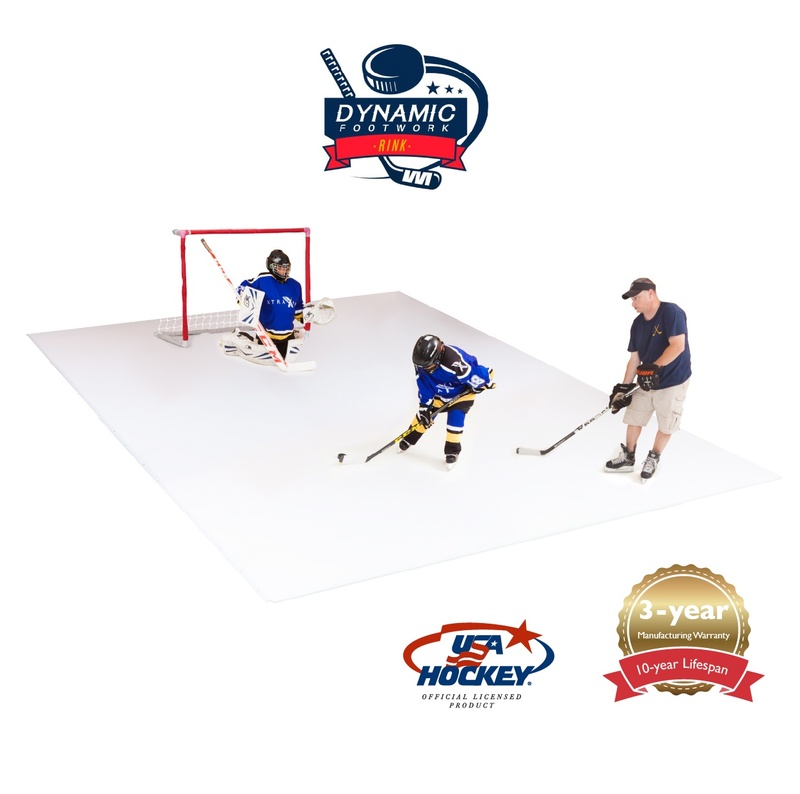 It’s the ideal surface for a complete hockey workout.